When I was teaching good customer service practices one of the topics we spent quite a bit of time (and role plays) on was vocal communication. That is ‘how’ you say a word or phrase. With me? OK here’s one of the exercises – fold your arms slouch and say “I feel great”. Now sit up straight put a smile on your face and say it again. See the difference? That’s just two examples of how our words come out and can be interpreted. Now let’s play around with the phrase That’s Paris. Say it with a smile, a frown, a sigh, a giggle, an exclamation mark or a questions mark. Put the emphasis on That’s, now on Paris. Say it with an inflection. Get the idea? For your homework how many more was can you say it? 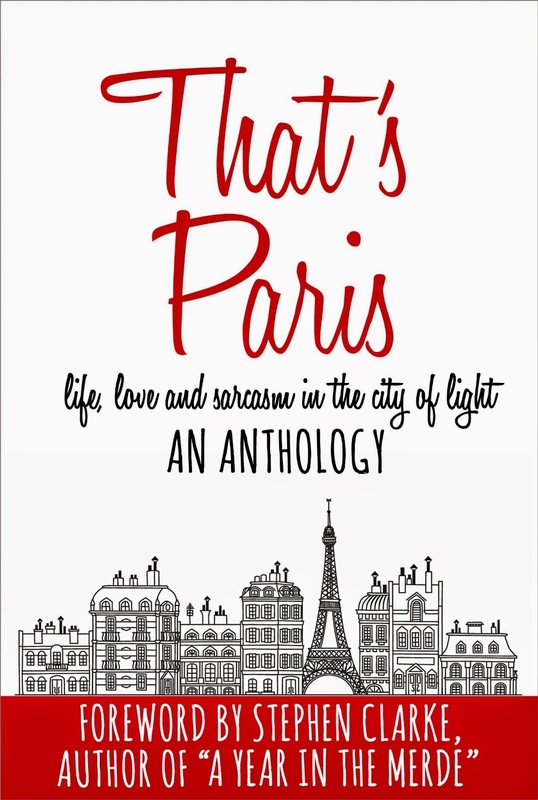 Whatever tone you use will give a different meaning and that’s what the variety of stories in That's Paris: An Anthology of Life, Love and Sarcasm is like. It’s well written, entertaining reading at its best and will have the reader absorbed and captivated at the many facets of life in Paris. If you have read Confessions of a Paris Party Girl or Confession of a Paris Potty Trainer by Vicki Lesage you certainly won’t want to miss this book. There are three stories by Vicki and one by her Mum. John Heldt produced some marvellous escapist reading in his Northwest Passage Series of books and this new series, American Journey, beginning with September Sky promises more. With a convincing collection of eclectic characters; heroic and dodgy, good and evil, September Sky does not fail to absorb the reader in its tale of time travel to Texas in 1900 at the time of the disastrous Galveston hurricane. Until I discovered John Heldt’s books I was not a fan of reading time travel novels but his stories are enthralling, believable and historically sound. September Sky is not any different. It grips the reader from the start and never fails at being totally engrossing. I know few authors who can effectively and believably combine murder mystery, romance, history, natural disaster (and the associated aftermath and grief) and family relationships all interlinked in a gripping plot. 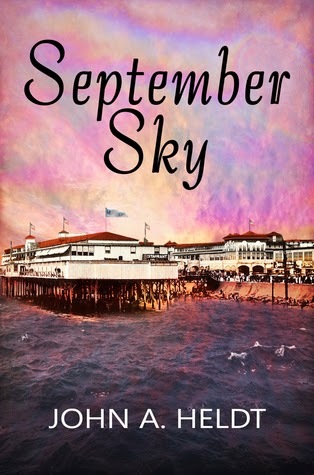 September Sky is a brilliant combination that fulfils my love of history and a good mystery novel. I must give John Heldt a highly commended for his history research. His list of books and people in the acknowledgement at the back of the book are an indication of the depth of his research. I knew nothing of the Galveston hurricane but September Sky had me looking it up on the internet. I have been entertained and educated in one story! I would love to see Heldt’s books in print so I can have them in my library alongside my two other favourite writers, Agatha Christie and Dennis Wheatley. Write faster John, I can’t wait for the next one. 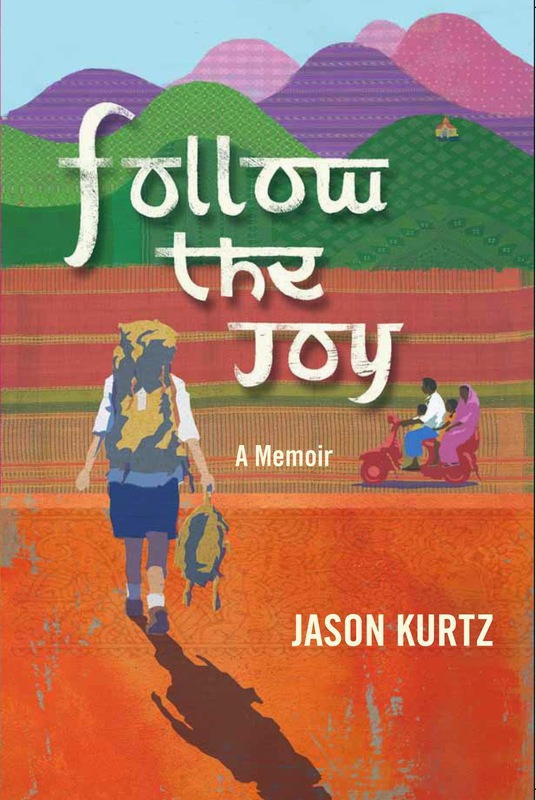 Follow the Joy is not your usual travel memoir. It starts with young Jason, unsure of himself and what he wants to do with his life, travelling in search of ‘something’. The story smoothly develops as Jason begins his travels. The reasons for his travel choices may have been uncertain initially, but as he moves from one place or experience to the next he is conscious that he is following the joy. His story becomes increasingly more engrossing as he continues to seek fulfilment and happiness. He realises that each time he “follows the call of his inner voice” he “felt that inexplicable feeling of joy” telling him he actually wanted to go. Kurtz’s writing skills draw the reader further and further into his story as we move from one deeply moving experience to the next even more poignant. Whether he is writing about the quiet monastery and temples; the hustle and bustle of busy streets with merchants and beggars; the unexpected happiness and caring within an aged care facility and a leper colony or the sadness of the street urchins and the dying; the sights, sounds, smells and emotions become real and alive. Apart from the story line itself, I also found the information about Hinduism and Buddhism extremely interesting. I hate ‘how to’ books that are so full of jargon that I need some reference constantly next to me so I can keep checking what the heck I am reading about. Lee Davis’ book is written in plain English that anyone can understand. If it has unfamiliar phrases or terms they are explained. The advice is practical and drawn from Davis’ own experience, mistakes and observations throughout his career. He addresses you, the reader, somewhat like a good parent, teacher or tutor would. The content is modern and up to date and includes a chapter on technology. In short, Lee Davis’ book is comprehensive, flows logically from one chapter to the next with information supplemented in Appendices. Within the text he advises further reading on topics not covered in detailed eg listening skills. These recommendations are included in the appendices and include lists of other resources both books and computer software. 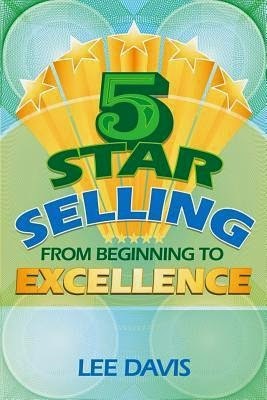 If you want to be a hard-nosed, hard selling, don’t care about the customer used car or real estate salesmen this is not the book for you. It is for those salesmen who want a lifetime career through building positive relationships with both external and internal customers. One of the things I really liked is the summary points at the end of each chapter. I would recommend that anyone studying this book re-write these points in a notebook for frequent, quick refreshers of the excellent advice contained. The expertise and knowledge needed by a fire investigator include building construction, chemistry, physics, fire behaviour, electricity, law, the human body and psychology. 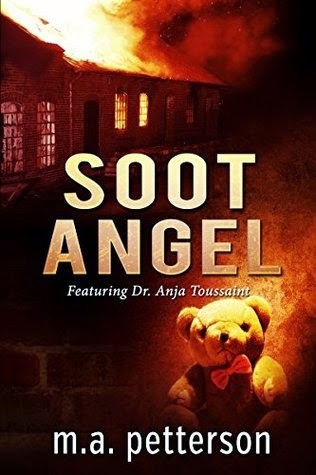 Dr Anja Toussant is a forensic scientist in name and a fire investigator by trade. It is not just a story of discovering the cause of the fire by a highly competent fire investigator. There is so much that weaves throughout this book including terrorism, political corruption and interference, and Anja’s own story that progresses from the first book in the series, a prequel novella, Fire Sign. Her investigation has her dealing with a variety of evil, strange, mysterious and often just plain incompetent people. Several stories weave throughout including a training exercise devised by Anja. The test does not just test the many skills, knowledge and fitness needed by first responders but gives Anja the opportunity to demonstrate how incompetent the battalion chief is. The inclusion of story lines like this also gives us gradual insight into Anja’s ability, personality and mysterious past. It is also not just about professional fire fighters but the Wild Wind County Volunteer Fire Department feature in Anja’s life – “her friends provide her with sly humour, tough cheer, stout spirit and to be involved with their crude misdeeds and bold transgressions”. Through his words, Petterson has the ability to transport the reader to beautiful and tragic scenes and be drawn into fast paced and adrenalin pumping action. But it not just in the images created for the various scenes that Petterson’s descriptive writing has the reader page turning. When Anja is teaching a group of Fire Behaviour students she describes a wildfire blaze that in the minds of her students and in the reader becomes very real. Petterson skilfully blends in humour when two opposing volunteer brigades compete for a local trophy and managed to bring tears to my eyes when a young probie (trainee) volunteer fire-fighter is seriously injured. Throughout the book Petterson demonstrates his knowledge of fire and those dedicated to protecting our lives and property and his enormous respect. I read this book as bushfires rage across South Australia where crews of volunteers, including some from my local brigade (I live in New South Wales) are battling to save lives, property and animals. Petterson’s description of the volunteer training, roles and challenges is not unlike our own volunteer fire-fighters in Australia. I can relate to all they experience. My favourite quote in the book: “When I grow up I want to be a fireman.” To which the old hand replied. “You can’t do both son.” It’s my favourite quote because my son is both a professional and volunteer fire fighter. 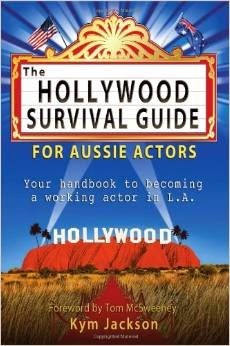 Subtitle: A comprehensive guide for Aussie actors wanting to make the move to Hollywood, LA. A great resource that will save you alot of time and money. When Kym Jackson first asked if I would accept a copy of her book in return for an honest review I must admit I was not sure if I was the right person to undertake reviewing this particular book. Not only am I not much of a movie buff but I have to admit I didn’t even know who Kym Jackson was. However, I did take the time to check out some YouTube clips and her IMDb page. She is certainly a very talented actress but can she write a book? Indeed she can! This is one of the most comprehensive “how to” books on any industry I have seen. Industry? Indeed! And I believe this is one of the most important things Ms Jackson points out in her book. That is the need to treat your acting career as a business including preparing business and marketing plans. The book is written in simple language with explanations of industry jargon. It includes extensive information further simplified with exhaustive lists and dot points and supplemented with a comprehensive Contents and Index. This is a book with significant insight into finding acting work in Hollywood. Don’t bother if you think you will find “Hollywood gossip” between the pages. I only wish someone would write a book as detailed and comprehensive as this for other industries.